I almost called this post “Happily Ever After,” but then I thought of a more fitting title. It’s a shame my blogging just went off the rails like that. 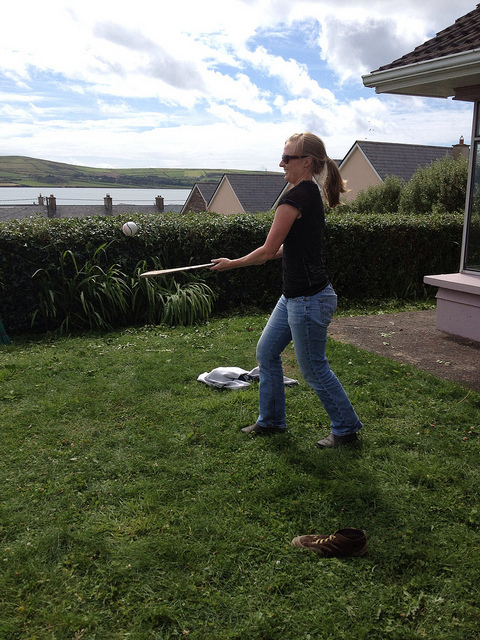 Some cool things happened during my last few months in Ireland, but I guess with classes finishing and writing the thesis, I didn’t have much time to blog. 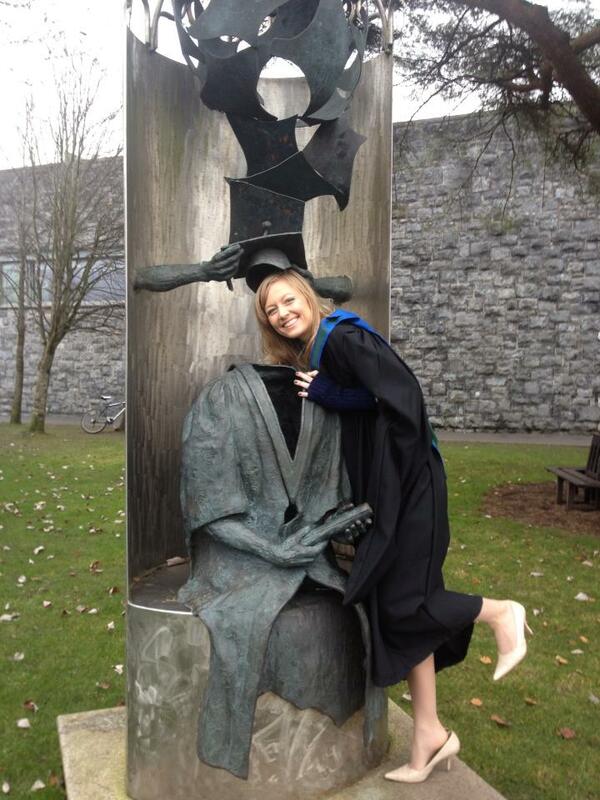 But it was exactly a year ago that I graduated and left Ireland. Since I’ve got the holiday off from work, I thought it was time to revisit. My boyfriend came to visit again in the summer, and he spent much of that time babysitting me as I wrote my thesis. He would sit on the couch, I would sit at the kitchen table, and he would make sure I did a full day of writing. It worked, I got an A on my thesis, and graduated with first class honours (yes, “honours” with a “u”). 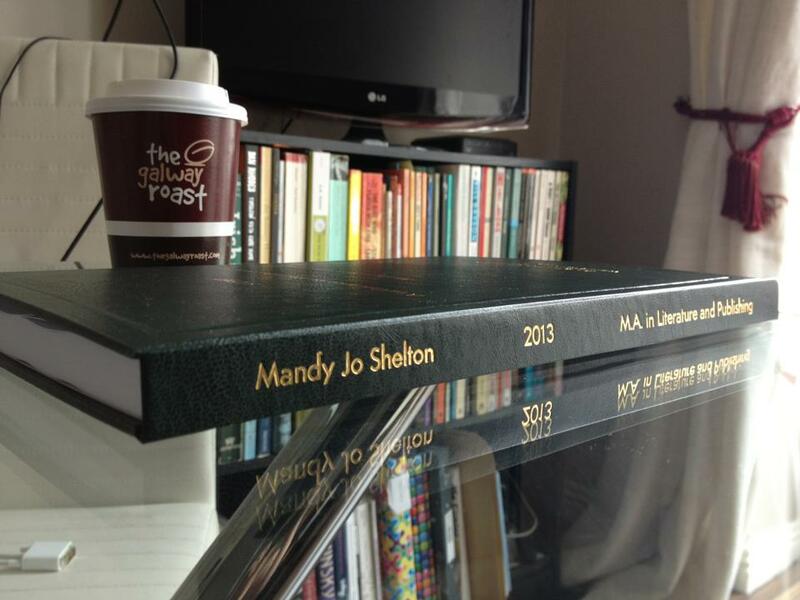 My thesis, sponsored by The Galway Roast. I made a wonderful new friend during the festival (that’s her in the video, which we shot on my balcony), and got to visit her family home in Dingle. We saw Fungie, went sailing, and sat front row center at a Maria Doyle Kennedy show. I also rode a bike for the first time in a decade, and did not crash. Once the thesis was turned in at the end of August, I started working at Charlie Byrne’s. I don’t even have to say how wonderful that experience was. 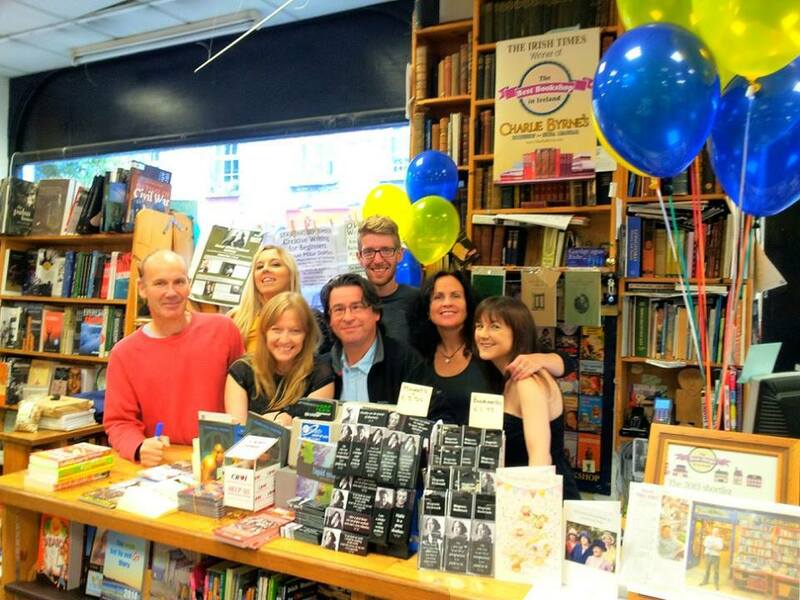 We were officially voted the Best Bookshop in Ireland by readers of the Irish Times. Someone posted a photo of Cross Street on Facebook-via-Instagram earlier this week, and I almost cried when I realized that, a year ago, walking down that street comprised 25% of my commute to work. I went to every Sunday night screening for the Galway Film Society, and I watched the entirety of Friday Night Lights. My mom came back at the end of my stay. She and I visited London, so she got to experience a ferry ride and a hostel, and I really thought she was going to get arrested by a bobby for touching his horse. 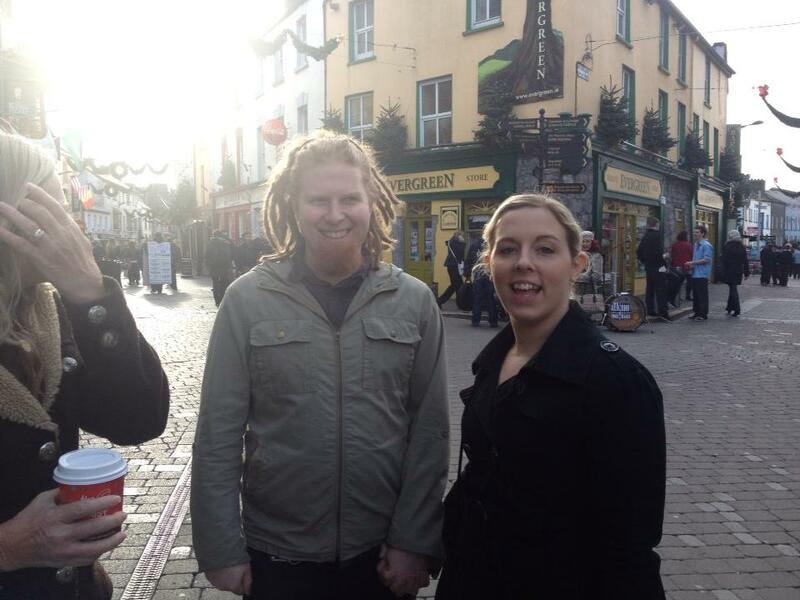 Back in Ireland, she became a fan of Galway Falafel. She also got to participate in a lock-in at an Irish pub. For graduation, she gave me a dancing frog. Graduation was on Thanksgiving Day, appropriately enough. After we walked, the ROPES team presented one of those giant cheques to our charity. That evening, we went to Charlie Byrne’s for the launch for our sister MA programme’s journal, Adventure Hat. Then we went gallivanting. The next day, my mom and I prepared to leave Galway. 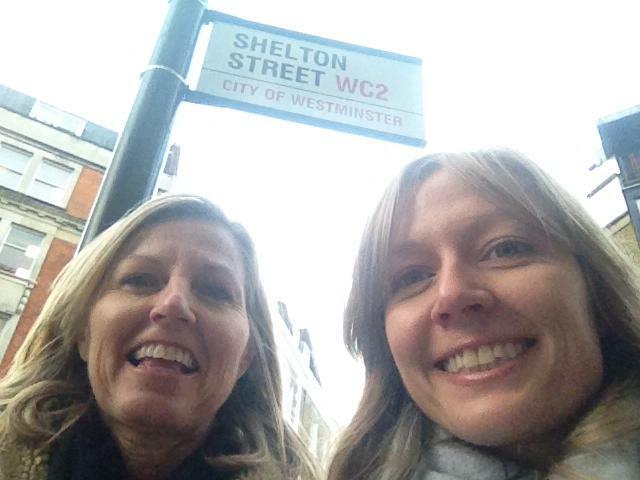 We had already broken down my apartment and packed pretty much everything, but we had some errands to run in town. 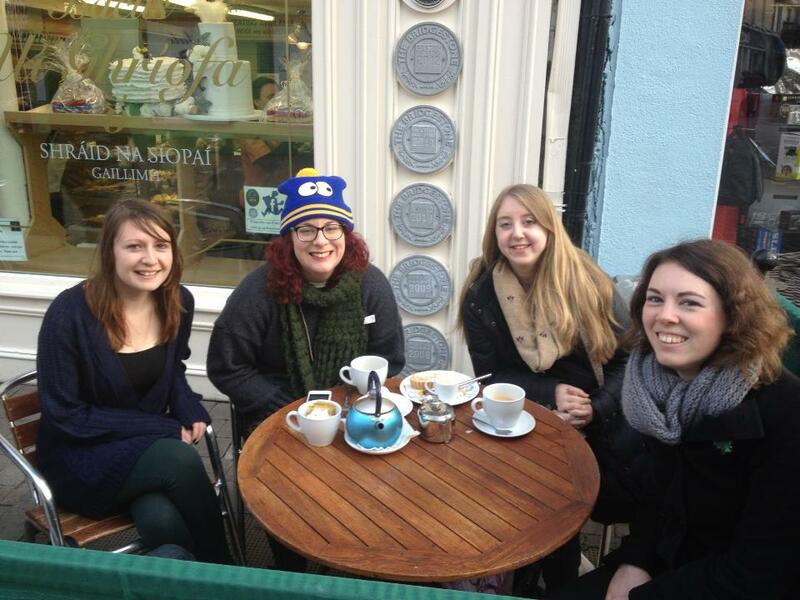 As we walked down Shop Street, this wonderful confluence of events happened: I saw some classmates from my MA as well as the sister MA — Claire, Meadhbh, Katy, and Roisin — having tea outside Griffin’s Bakery. 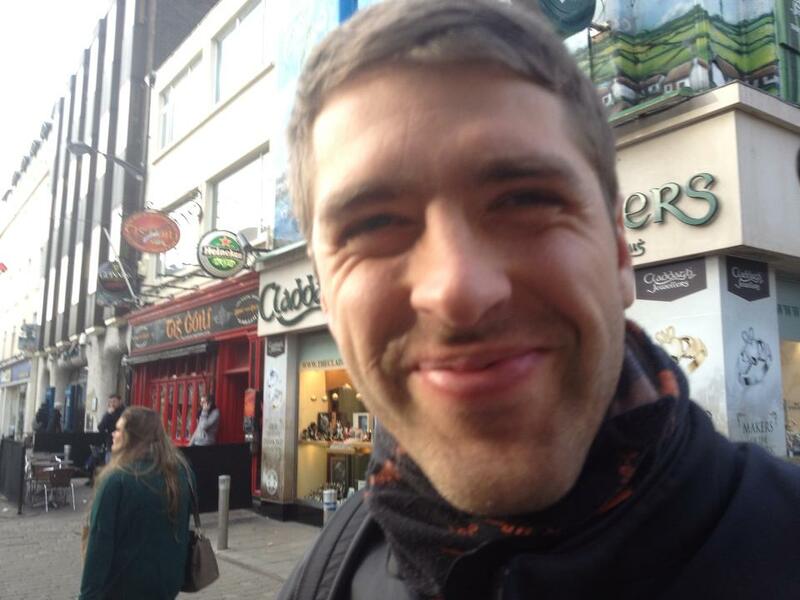 As I took their photo, I felt a tap on my shoulder, and turned to see my old friend Krystian, who I met in the fall of 2004 when we first arrived in Galway. Then my mom called to me, and I snapped one more photo of my Charlie Byrne’s co-worker, Olivia, and her boyfriend, Ray. By turning a pivot in one spot on Shop Street, I was able to take three photos filled with people who are special to me, from three different areas of my life, surrounded by the city that brought us together. 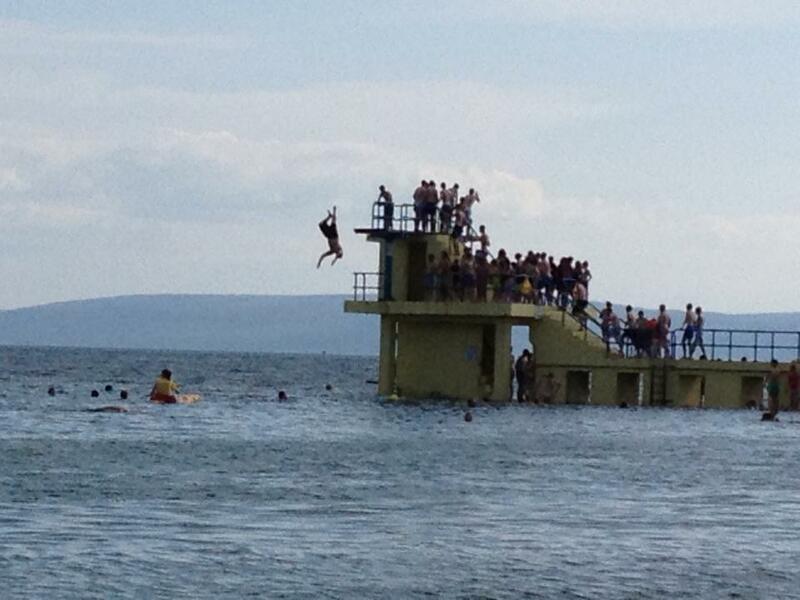 That is how Galway told me goodbye… and we all lived happily ever after.